Aadhaar e-KYC implementation consultancy and technology solution powered by our out of the box, compliance ready eKYC server solution that enables hassle free and efficient eKYC service implementation. 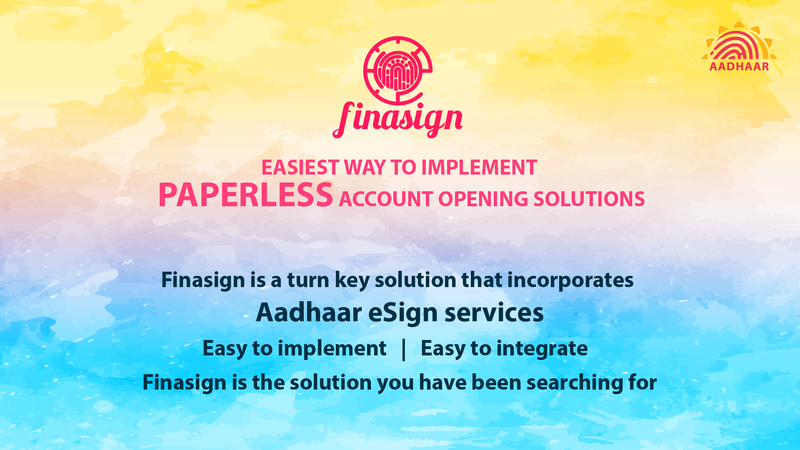 Finasign is a turn key paperless customer on-boarding service that utilises Aadhaar enabled technologies such as Aadhaare KYCand Aadhaar eSign for implementing paperless account opening services. Comprehensive cloud based customer management platform built exclusively for retail broking industry. Helps the broking firm to know the pulse of the customer and provide customised service. Finahub is our technology partner for the implementation of Aadhaar eKYC service. Their domain knowledge, technical capabilities and customer support provided have immensely contributed towards the successful completion of the project. The Kinship Platform and Finahub's customer support have been really commendable. In fact the team have been able to take the inputs I gave as guidance to improve their product further. Their dedication and passion will be the key assets to hold on for the days to come. Knowledge of Aadhaar Ecosystem - Our in depth knowledge of the Aadhaar ecosystem helps in avoiding pit falls and aids in smooth and timely role out of authentication and eKYC services. Support in enrolment process - We not only provide technology solution to our customers, we go an extra mile to support our customers in the enrolment process. Consultancy Service - We provide the option of availing our consultancy service to customers who want to outsource the complete AUA/ KUA enrolment process. Strong Technical Skills - Strong technical skills of our development team have helped in developing a fully compliant AUA/KUA server in house. This helps us in responding to changes and support queries quickly efficiently. Highly Scalable Server Architecture - Our AUA/KUA servers are built to easily support both vertical and horizontal scaling enabling our customers to choose the deployment architecture that best suits their needs. Ease of Integration - Our AUA/KUA servers exposes a simple REST API for authentication and eKYC that is fully documented and easy to integrate with existing software application of our customers. Technical Integration Support - We provide email and on call support to enable our customer integrate the authentication and eKYC API with their existing services. 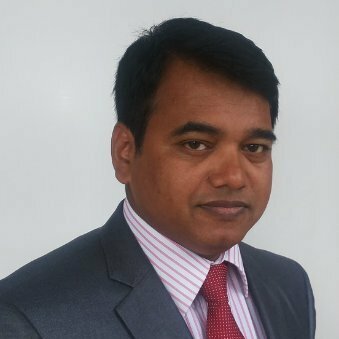 Customer Centric Culture - We understand the business need of our customers and its importance. So we do everything we can to help our customers to achieve their business goals effectively and efficiently. Capstocks and Securities Pvt Ltd.